This is how I lose (and maintain) weight. If you stick to it, it works. 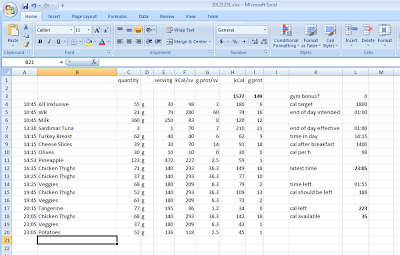 Reliably.Spreadsheet tells me when I can eat, how much I can eat, and how much protein I should get in the near future.It helps me follow a nutrition plan where I eat 20 or more grams of protein in every 3 hour window, and 130-160 grams of protein every day. This means I actually lose fat, instead of muscle, and keep most of my muscle mass. Requires an aptitude for numbers.Requires food with nutritional information, and/or constant look-ups on a site like TheCalorieCounter.com.Requires weighing most items you consume, i.e. all items where the nutritional information is not framed for a practical, reliable serving.For meals consisting of multiple ingredients, requires a cook willing to weigh every single ingredient, as well as the end result.Some exercise is still necessary. You don't get any protein while you sleep. Muscle will atrophy if unused. So I needed to go to St. Kitts, and purchased a return ticket on American Airlines from Costa Rica to St. Kitts, via Miami. It turned out the return connection didn't have enough time to make it through immigration in Miami. I was not unusually held up in any way - I even ran from the airplane to immigration. It's just that the lines this time of year are so long, by the time I was through, I missed the connection to Costa Rica. The surprising part is, American Airlines declined responsibility. "We have no control over immigration," they said. Yes, but you put millions of passengers through Miami every year. You know how long the lines are. Why do you sell tickets for connections which you know a person can't possibly make? "We won't pay for your hotel if you were delayed at immigration," they said. But I wasn't delayed - not compared to any other passenger. I just went through the normal process. The overall percentage of people who are driven to keep up a lie for no reason is probably small. But sadly, this needs to be considered every time we hear an anecdote. 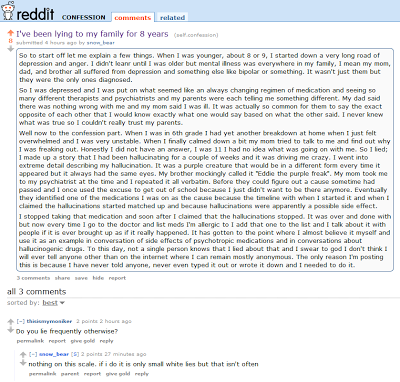 "What possible motivation could they have to lie about it? ", I would ask myself, when I would hear an incredible story. Well, there you go. No motivation needed. St. Kitts is a small, green, sunny island in the Caribbean. It's part of a two-island federation, St. Kitts and Nevis, located about an hour's flight east of Puerto Rico. The islands are an independent nation, part of the Eastern Caribbean Community, and part of the British Commonwealth. We moved to St. Kitts in May 2007; we are originally from Slovenia. Living on the island has had its benefits and shortcomings. For my part, the shortcomings were largely outweighed by the warm, all-year-round sunny weather. I just love that about living on the island. My wife, however, prefers more of a city environment. After 5+ years on St. Kitts, we are looking to make a new home in Costa Rica, and to sell our condominium in St. Kitts. PriceI'm looking for something in the range of USD 525,000. That's about $150k less than what it cost me 5 years ago, even before inflation, and less than its recent appraiser's valuation, which is $595 - $640k.